Good news for the people who are using World’s Slimmest phone Gionee Elife S5.5. 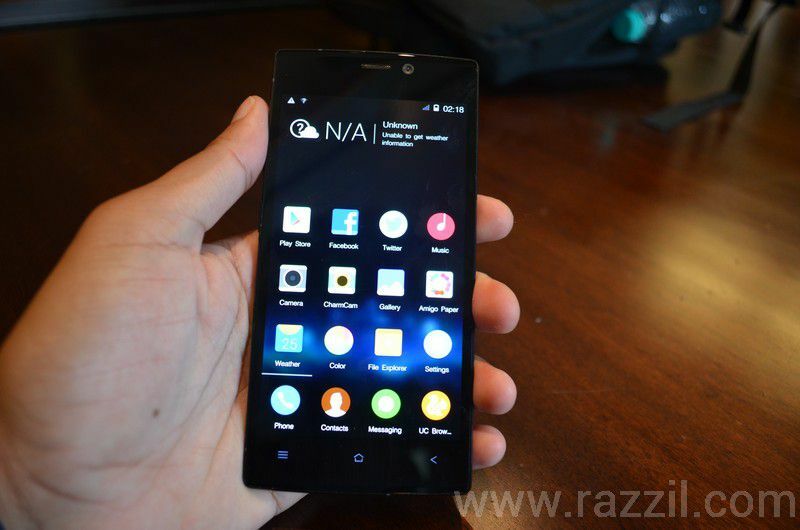 Gionee is pushing the Android 4.4.2 KitKat OTA to Gionee Elife S5.5 phone. 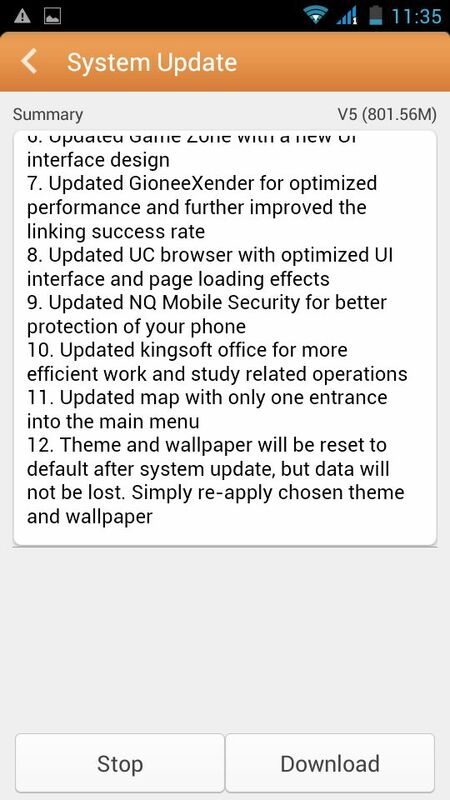 With this update, Elife S5.5 becomes the first phone from Gionee that runs on Android 4.4.2 KitKat. 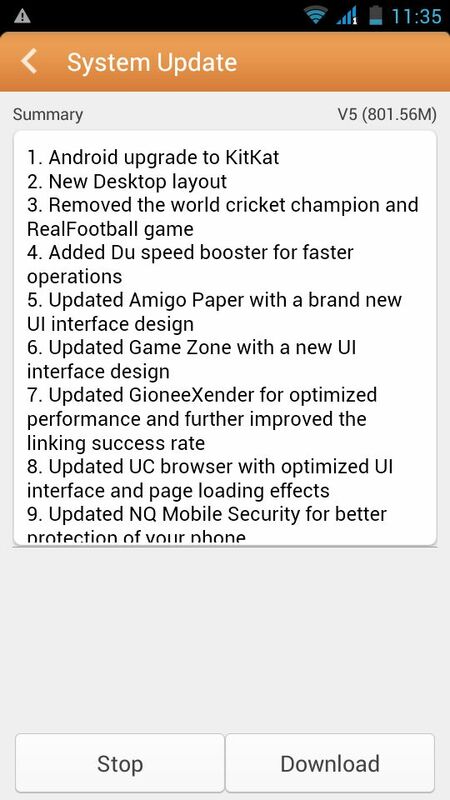 Along with KitKat, Gionee also updated the few apps from their Amigo UI. Third party app Du Speed Booster is also added to clean up the junk and speed up the phone process. The Update will be available from today onwards and you can update the phone from Settings. Theme and wallpaper will be reset to default after system update, but data will not be lost. Simply re-apply chosen theme and wallpaper. Update size is big and so I recommend you to download the update from Wi-Fi and also keep the battery bar to 50%. Hello Baysun, the update is available for India Region only.